Did you ever rush up to someone you caught a glimpse of and then when you tapped them on the shoulder, you realized it was not who you thought it was? it's a simple case of mistaken identity. They had enough attributes of someone you know, to trick your brain into believing it was really them. Well that is basically how it goes in your body when molecular mimicry occurs and an autoimmune process develops. In this article I would like to demystify why having gluten sensitivy often leads to autoimmune thyroid - which is the most common cause of hypothyroidism in North America. Much study and research has been going on in the last decade or so on autoimmunity, which can be defined as a loss of immunological tolerance (the ability for your immune system to discriminate between self and non-self). Our immune system has a difficult job to do. It has to constantly police our body and discern between the proteins we are made of and all the proteins in foods, bacteria, viruses and many other proteins that come in contact with our bodies. Our immune system consists of many components and it would be folly to attempt to fully discuss these intracasies of the immune system in one article. For the purposes of this article, I can say that part of the immune system consists of cells called T-cells. T-cells act like specially trained military assailants. These T-Cells are born in the bone marrow and then are "trained" to "understand" and recognize proteins that make up our body parts and are given instructions to leave them alone in the thymus gland (boot camp). Only T-Cells that make the grade are allowed to mature - those that don't are programed to die early (apoptosis). 99 out of 100 T-Cells don't make the grade. The training process continues in other parts of the body as well. Obviously it is a very selective process...and for good reason. You want your T-Cells to tolerate your own parts and protect you, not "chew you up", right? Basically, autoimmunity can be defined simply as, exceptions to the tolerance "rules." By doing this, an immune response is generated against self-tissue and cells which are made of proteins and peptides. Peptides are a group of amino acids bound together in a short chain. Think of peptides like different words. Words are made up of varying sequences of the 26 letters that make up our alphabet. Proteins are longer sequences of amino acids and would be analagous to a sentence, which is made up of many more letters in varying sequences. The food we eat, and all of the cells of our body, are made or proteins and many of the chemicals that are part of our makeup are comprised of peptides. 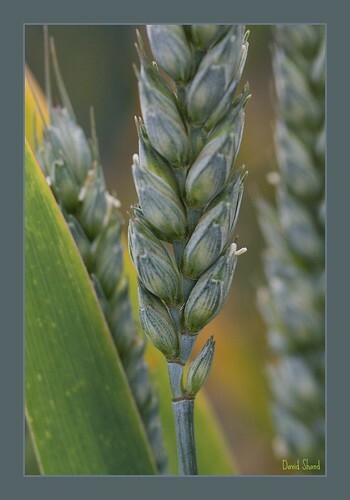 One of the most prevalent peptides in gluten containing grains (wheat, rye and barley) is alpha gliadin 33-mer. Let's say the amino acid sequence (in letters) for alpha gliadin 33-mer starts with A-A-B-C-D. When someone who has gluten intolerance, their immune system will often target alpha gliadin 33-mer with antibodies, which in turn will trigger T-Cells to destroy alpha gliadin 33-mer with its A-A-B-C-D amino acid sequence. It turns out that the cells that make up parts of our thyroid gland are made of proteins that also begin with an amino acid sequence A-A-B-C-D, too! I'll bet you can guess what happens in the gluten sensitive individual (like me)! You are right if you deduced the immune system in a gluten sensitive individual not only targets alpha gliadin 33-mer with its A-A-B-C-D amino acid sequence, but also the individuals' thyroid gland cells (molecular mimicry)! This is the essence of how gluten sensitivity often leads to developing autoimmune thyroid disease (AITD). The link is so well-established that researchers suggest all people with AITD be screened for gluten intolerance, and vice versa. You can read about the BEST testing for gluten intolerance can now be done through our office. This case of mistaken identity occurs in many disease processes including celiac disease, multiple sclerosis, diabetes, rheumatoid arthritis and other autoimmune diseases. The good news with celiac disease and often autoimmune thyroid, is that you can steer away from molecular mimicry by eliminating the offensive protein (gluten) from your diet - for life! (yes, that's right) have some form of gluten-sensitivity.